Combine the best of both worlds, with the excitement and fascination of a city as distinctive and enchanting as Istanbul, with the relaxation and peacefulness of a North Cyprus beach holiday. From miles and miles of sandy perfection to the smallest untouched coves only accessible by boat, and for those looking for an exotic dive spot you can head to one of the shingle beaches, where rock formations and colourful fish are just waiting to be discovered under the surface. From the reverent and historical old city to the modern and lively new, Istanbul truly has something for everyone. With the nightclubs of Taksim, to the museums of Sultan Ahmet and the traditional markets and restaurants of… well everywhere! You’ll find yourself in a rush of exhilarating culture. If you are looking for central hotels to make the most of your twin centre holiday stay in North Cyprus then this is the ultimate combination. Why not experience the best of North Cyprus by booking a Twin Centre stay in Kyrenia and Famagusta. With our great combination at our top selling two hotels in North Cyprus this offer is not to be missed. Haven't yet decided on your resort? Well, what better way to experience Cyprus in its entirety, than to experience North Cyprus and South Cyprus twin centre holidays. In addition to standard single resort holidays in Kyrenia and Famagusta you can also opt for Larnaca, Paphos, Protaros and any other destination you desire. Twin centre holidays are amazing experiences of contrast, and with a country as beautiful and relaxing as North Cyprus, we understand that visiting just one region isn't enough to fully tour or embrace the best Cyprus has to offer. We are offering full flexibility, with no restrictions or limitations as to how many nights you can spend at each destination. Simply decide when you want to travel, how long for, with your choice of hotels and leave the organising to our specialist team. With over 37 hand selected hotels in Kyrenia and a 4 hand selected hotels in Famagusta, your options are wide open. Maybe you want to spend a few evenings in the ancient harbour in Kyrenia but still have time for a few days in Famagusta before you leave. 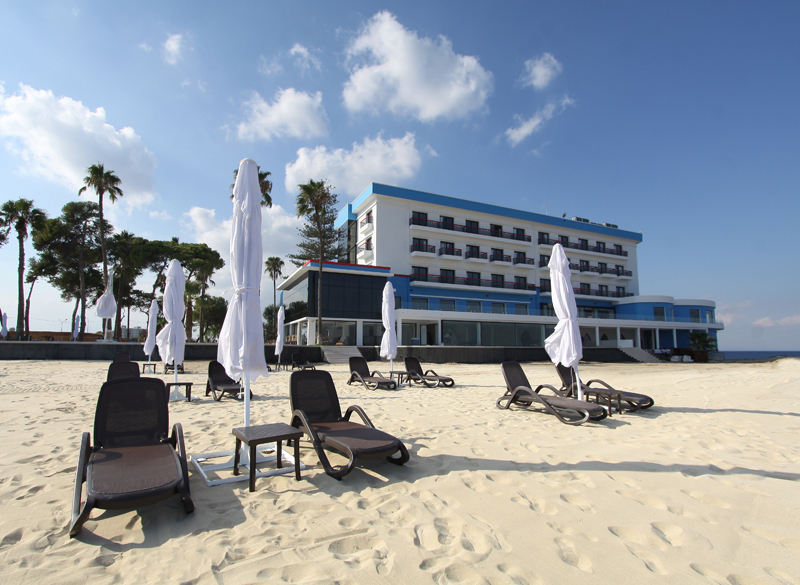 Or maybe you want to experience the glamour of a beach front five star resort in South Cyprus, but also like the idea of a harbour side boutique hotel? No matter how you choose to split your North Cyprus holidays, all you need to decide is where you want to go and for how long, and then let our travel advisor's do all the work with arranging, finding an amazing deal, and booking your dream twin centre holiday. As a land of diversity and contrasts, Turkey has both in abundance. With so many different elements to experience in Turkey, no wonder that Turkey is such a popular destination, and even more so a twin centre holiday destination. Take Turkey twin centre holidays, and experiencing the amazing beaches of the Mediterranean, and combining it with the atmosphere of Turkey's cities is one option, but it doesn't stop there, combine your stay with other natural wonders Turkey has to offer, or combine your Turkey holidays and Turkey hotels with other countries to tailor make an ultimate experience on a Turkey twin centre holiday. One of the most popular twin centre holidays is Istanbul and North Cyprus holidays or Istanbul and Bodrum holidays, Istanbul and Antalya holidays. All have the element of beach and relaxation with the amazing ambience of beach resorts.